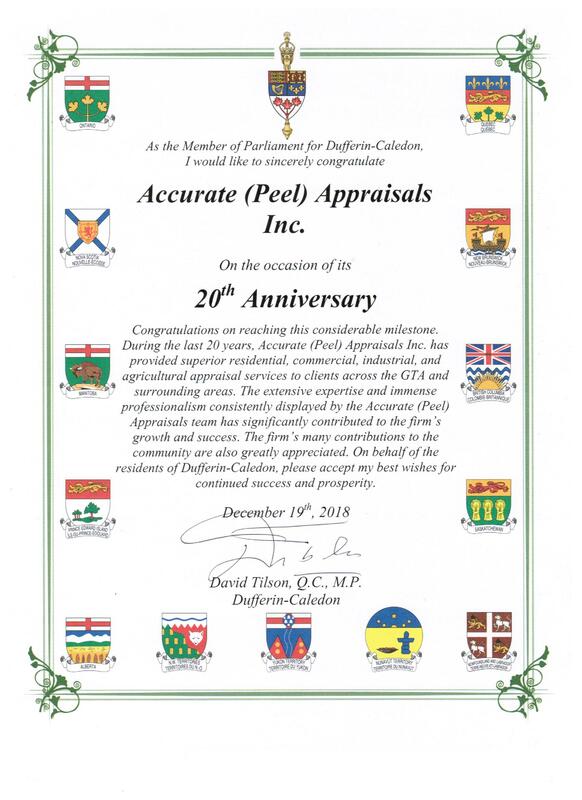 Accurate (Peel) Appraisals Inc. Celebrates 20 Year Anniversary! – Accurate (Peel) Appraisals Inc.
Sending a huge thank you to David Tilson, M.P. Dufferin-Caledon, for the very kind placard which is now proudly displayed within our office! The Tiny Blue Planet is Celebrating!